Kayonna is enthusiastic, driven, communicative, and intelligent. She speaks her mind, demonstrates leadership skills, and is always there for someone in need. She loves basketball and track and field with a passion. She gets engulfed when reading African American literature, dystopian literature, mysteries, and books that addresses social issues in society. She is captain of the school’s track and basketball team and has been to CIF for track and field three times. She plans to either pursue a career in sports or business, or even a mix of both. 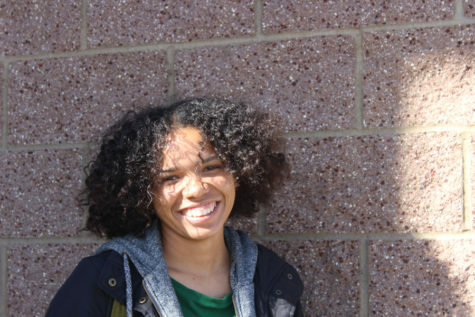 Kayonna runs the sports twitter for the school and is ardent about getting the athletes recognition.